The Firehouse Cultural Center in Ruskin has an exciting line up of evening events during the month of September. First up is the Firehouse Cultural Center’s infamous Girls Night Out Comedy Show on Friday, September 18 at 7:30 p.m. This fun filled hilarious night stars a trio of comedy stars you will not want to miss. The trio includes Robin Savage, Catherine Maloney and Trish Keating. Savage has performed in comedy clubs, casinos and bars across the United States. Her comedy club credits include McCurdy’s Comedy Theatre, Tampa Improv, and Side Splitters among others. Maloney has built a reputation as a crowd-pleaser in her own right by delivering bold, unapologetic humor to audiences around the country. Keating has been featured in the Tampa Bay Comedy Festival and in “The Teacher’s Lounge Comedy Show” series at The Tampa Improv. There will be a cash bar. Ticket prices are $15 to $25. Next, on Saturday, September 19 at 7:30 p.m., you can see local singer songwriter, Victoria Ginty and her band, LadyHawke. For the last 10 years Ginty has made her home in Apollo Beach. Ginty will be joined by bassist and partner Mike Ivey, who will provide solid bass and acoustic guitar. Tim Costello will be on lead guitar, and special guest Taylor John will be on vocals and piano. This eclectic mix of Modern Blues, Country and Americana will satisfy all music lovers. On drums will be LadyHawke drummer Bob Nesbitt. This show is sure to satisfy music lovers who enjoy lyrically well-written music, delivered with emotion. Tickets to hear this local talent are $18 to $28. On Friday, September 25 at 7:30 p.m., you will not want to miss an evening of unforgettable live music with Ken Loomer who was the house drummer at the Jazz Cellar in Ybor City for eight years. 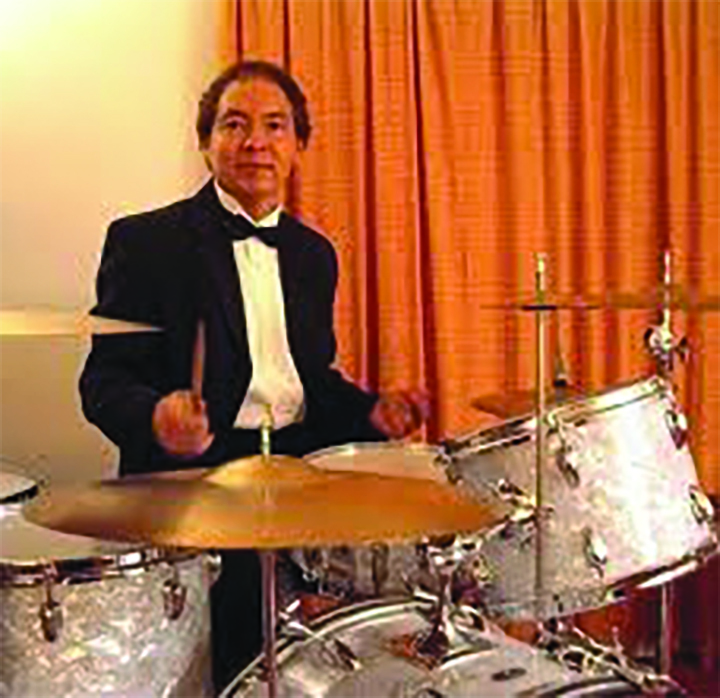 He was the first drummer to receive the Outstanding Soloist Award at the National Association of Jazz Educators Jazz Festival. Loomer has played with notables including The Tommy Dorsey Big Band Orchestra, Connie Haines, and Ira Sullivan. You will also hear John Lamb who was the former bass player with Duke Ellington. He is a virtuoso performer bassist. Tony Castellano started playing piano at age 7. His father was a pianist in a trio in Miami. Castellano is also a vocalist. Franco Marino who used to play tenor sax with Tony Castellano’s father, will leave you with a style and feeling on the tenor sax that is certain to impress. Tickets to this fabulous night of jazz are $18 to $28. Save money by purchasing tickets early. You can save even more by becoming a member of the Firehouse Cultural Center. The Firehouse Cultural Center, located at 101 1st Ave. N.E. (at Shell Point Rd.) in Ruskin, is a non-profit visual and performing cultural center serving the south region of Hillsborough County. The Firehouse Cultural Center provides quality programming in arts and education for all ages. Firehouse Cultural Center programs encourage participation, engagement, discovery and learning while offering connections to our unique history, culture and natural environment. For more information on these events and others, call 813-645-7651 or visit www.firehouseculturalcenter.org.